The new Marriott MegaBonus promotion is released. 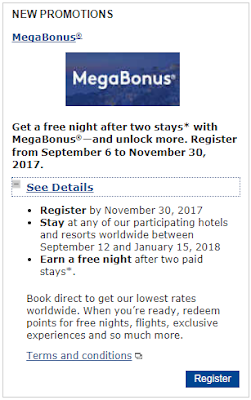 You can earn a free night after 2 paid stays worldwide between Sep 12, 2017 and Jan 15, 2018. You can log-in your Marriott account and find this promotion at the Promotion Central. Online registration is required by Nov 30, 2017.